I received some good news this week. 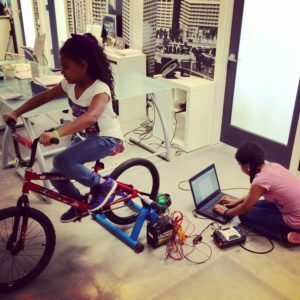 I was selected as a finalist for ReThink Energy Florida’s Energy Innovator Award for the KidPower2015 Project! 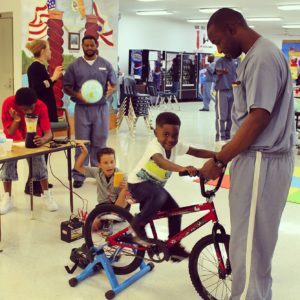 KidPower2015 was originally designed as an Earth Day project for Children of Inmates, Inc. (COI) program participants to learn about a renewable energy. Since March, over 300 children have participated in KidPower2015 in a variety of settings: an elementary school, a church, and eleven correctional facilities across the State of Florida. Some of the kids were so enthusiastic and inquisitive about what they were learning through KidPower2015, I believe they may be emerging engineers and scientists. Who knows? In the group may be a child who could eventually generate innovative ideas for energy conservation and natural resource management for future generations. ReThink Energy Florida is a 501c3 non-profit dedicated to engaging, educating, and empowering citizens to take action and achieve energy independence in a healthier, more sustainable environment. They sponsor several educational events throughout the year, including an Energy Camp for children in July, movie showings, panel discussions, and workshops, such as its Solar Charger and Solar Oven workshops. The Energy Innovator Awards will be announced on June 20th, the same day our team will be exhibiting KidPower2015 at ODTUG KScope2015 Community Service Day in Hollywood, Florida. June 20th is going to be an exciting day.